It is rare that you come across a 32-year-old female associate director of strategy in any business, rarer still in the telecom industry. 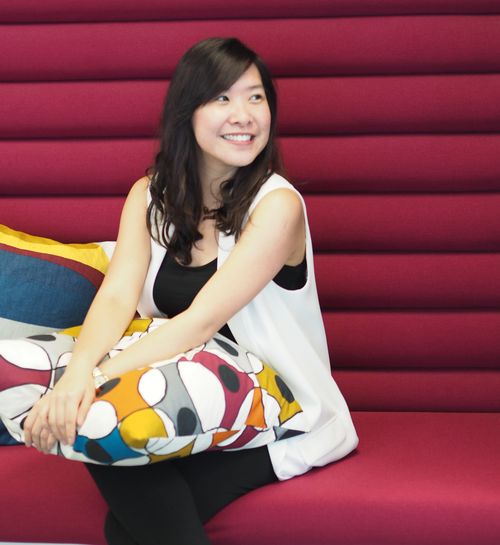 Amanda Lye, a young and dynamic senior executive at a major APAC operator, is definitely an anomaly. Axiata Group Berhad , a prominent telecom group in South East Asia, formed Axiata Digital in 2012 to capture the rapid growth in Internet-based business. It has 29 digital brands in various allied segments, including mobile money, mobile advertising, e-commerce and entertainment. Women in Comms: Tell us a bit about your career journey and your job role here at Axiata. Amanda Lye: I joined Axiata about ten months back, and I come from a consulting background. I was with Accenture before I joined Axiata, and prior to that I was with PricewaterhouseCoopers. Initially when I joined my role was supportive, and I also had to blend into the culture here, but now I am involved in major initiatives of the organizations. My role is fairly widespread in terms of scope: I cover strategy, business development and portfolio management. I have also attended a few board meetings where I was often the only woman present and also the youngest member at the meeting [laughs]. In that sense I feel very privileged to have been given these opportunities at such a young age. WiC: What are the initiatives taken by Axiata to promote gender equality? AL: As far as I know, there is no formal plan at Axiata Digital to promote gender inclusiveness but it is definitely a part of our DNA and culture. It is also a very young organization with a number of millennials in the workforce, so that also helps. The average age of the workforce at Axiata Digital is mid to late 30s. As part of the entire Axiata Group, 30% of the 25,000 employees are women. WiC: What would be your advice to women who are entering this industry now? AL: Find your niche in the industry. Since I came from a consulting background, I had skills which can easily be applied but still were not very common in this industry. This has definitely helped me grow. Beyond that, find the right leader to follow … a leader that will empower you and support you is also quite important. A good leader will open new doors and opportunities for you. But most importantly, be yourself and be confident in your own abilities.